Micro to double overhead plus. Effortless paddle power and glide, easy to ride. 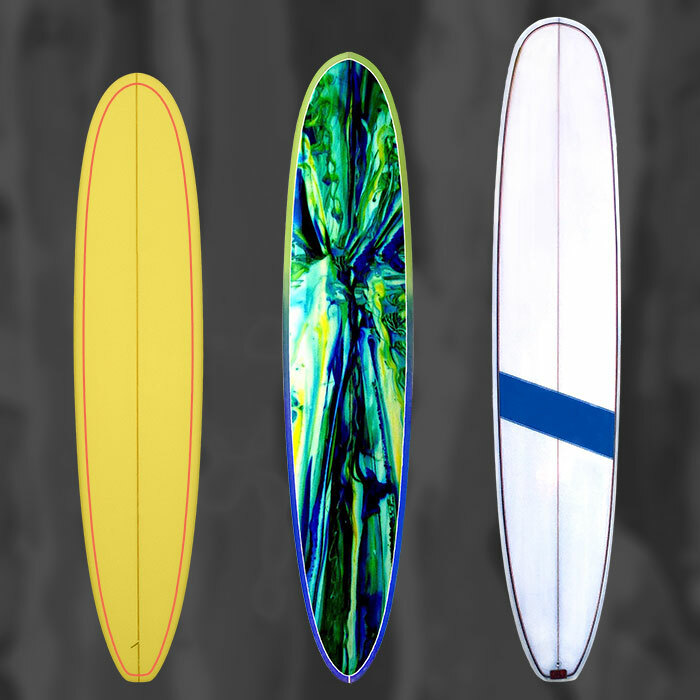 Some of us at Delray Surfboard Designs started building surfboards in the sixties and were also a big part of the Longboard revival in the 80s both as surfboard builders and competitors. We definitely know our stuff. We have some of the best tried and true post-modern longboard designs that combine the best design features of the traditional longboards the high-performance of the modern Longboard. Our boards are designed to be user-friendly and easy to ride, but they are also high-performance surfboards that have consistent glide momentum, yet turn with precision and speed! They are really fun to ride. We are always moving forward and looking for ways to improve our surfboards with slight design adjustments and constantly fine-tuning our boards year to year. When you custom order a Delray post-modern Longboard, you are getting a great quality board design backed by decades of experience; riding one of our Longboards will definitely enhance your surfing experience.